Ships tomorrow if you order in the next 19 hours 1 minutes. Indigestion can be pretty uncomfortable and affects millions of people on a regular basis. It can be caused by a number of factors, including poor dietary choices, prolonged levels of high stress, or other illnesses. If you're looking for added support for healthier digestion, D' Adamo Personalized Nutrition offers a great option. 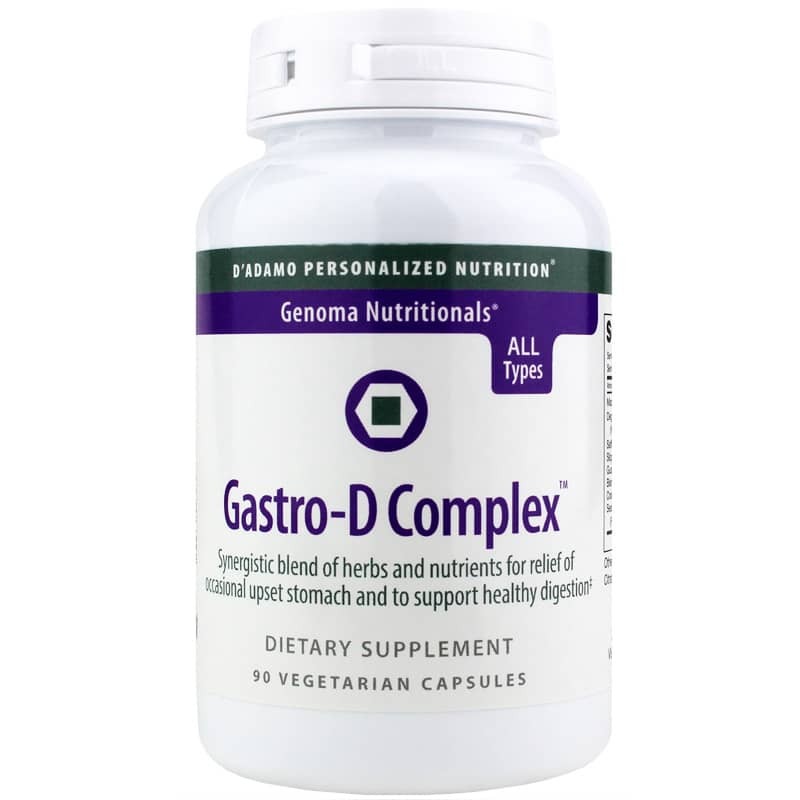 Gastro-D Complex is a dietary supplement designed by Dr. Peter D'Adamo to help keep your gastrointestinal tract protected and healthy. 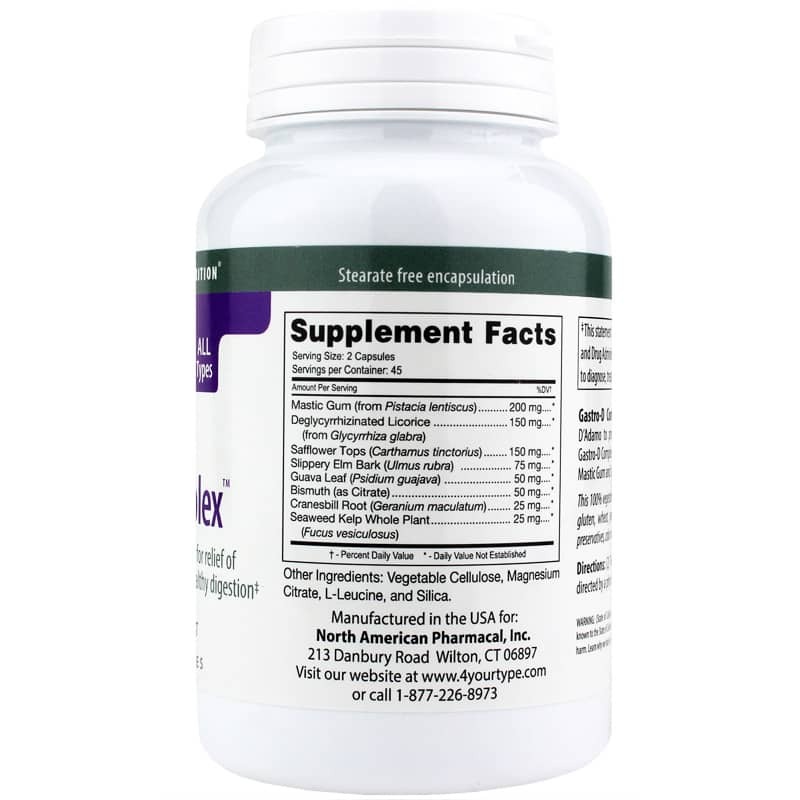 This product contains five important ingredients that support optimal stomach health. These are bismuth, DGL, slippery elm, mastic gum, and safflower tops, all of which provides support for gastrointestinal and stomach health and healthy digestion. Maintain a healthy digestive system. 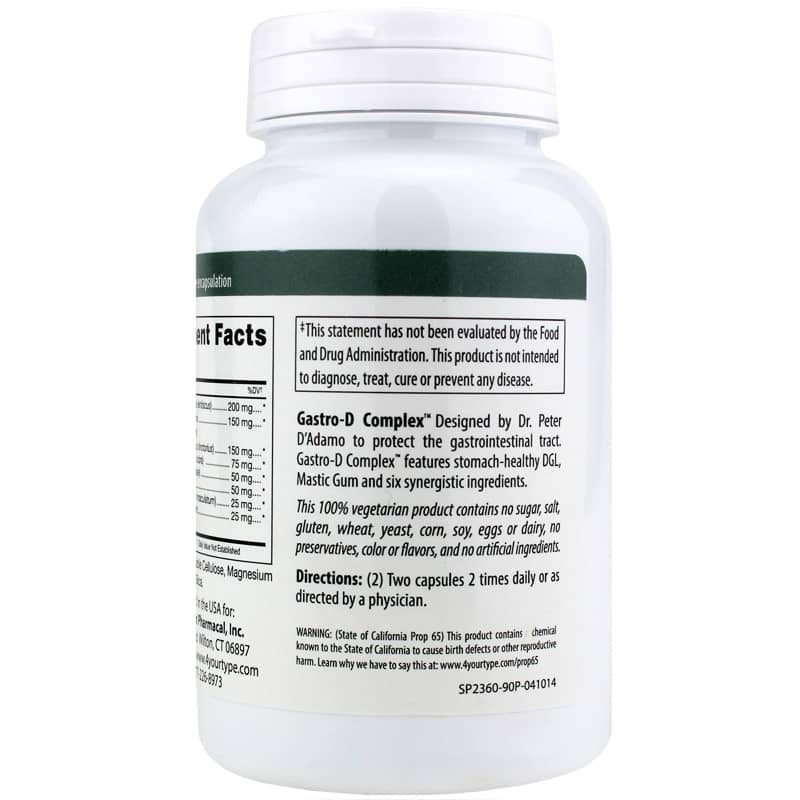 Give Gastro-D Complex from D' Adamo Personalized Nutrition a try today. Order now! Other Ingredients: vegetable cellulose, magnesium citrate, L-leucine and silica. Contains NO: sugar, salt, gluten, wheat, yeast, corn, soy, eggs, dairy, preservatives, colors or flavors and no artificial ingredients. Vegetarian. Adults: Two capsules 2 times daily or as recommended by a healthcare professional.